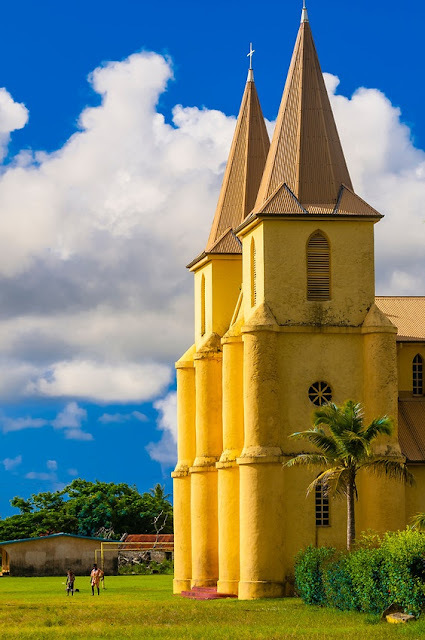 St. Pierre Baptist Church,New Caledonia. Vézelay Abbey was a Benedictine and Cluniac monastery in Vézelay in the Yonne department in northern Burgundy, France. The Benedictine abbey church of Ste-Marie-Madeleine, with its complicated program of imagery in sculpted capitals and portals, is one of the outstanding masterpieces of Burgundian Romanesque art and architecture, though much of its exterior sculpture was defaced during the French Revolution.